We’ve all been there before — anxious and nervous about a dental appointment. It makes sense. Movies have always poked fun at dental phobia by a prospective patient in the waiting room getting ever so nervous at the sound of the dental drill. We understand why anyone would be a tad trepidatious about treatment after hearing that high-pitched scream as it goes to work on a patient’s mouth. Being nervous about a dental appointment is nothing to be ashamed of. There are lots of people out there who suffer from dental anxiety just like you and it takes a lot of courage to just walk through our doors. We’re here to tell you that there are ways to combat dental phobia, and it’s with sedation dentistry. At our office in Winthrop, MA, you can count on excellent sedation therapy provided by a caring staff. Dr. Brooks is a master at offering sedation dentistry services and he wants you to be relaxed and comfortable for your next dental appointment. There are plenty of patients out there that could benefit greatly from sedation dentistry. Remember that part about the dental drill from earlier? You know that sound; it’s screech can make your ears bleed. You want no part of it. Hey, we get it. It isn’t just the sound of a dental drill that keeps prospective patients away from the dental chair. These questions are not uncommon. These aren’t the only reasons why someone would rather sit at home than undergo any type of dental procedure. The list of people who do opt out is growing by the day, but we’re here to tell you that our sedation dentistry services can help ease the tension you feel about going ot the dentist. All three are designed with your absolute comfort in mind. Going to the dentist shouldn’t have to be a nerve-racking experience, but rather one that’s designed to keep your oral health in tip-top shape. Give your smile the care it deserves and start easing your dental phobia with our sedation dentistry tactics. 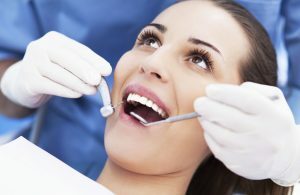 Are you ready to stop feeling anxious about a dental procedure? Our office gladly accepts patients from all over Winthrop, MA including East Boston, Revere, Somerville, Everett and beyond.